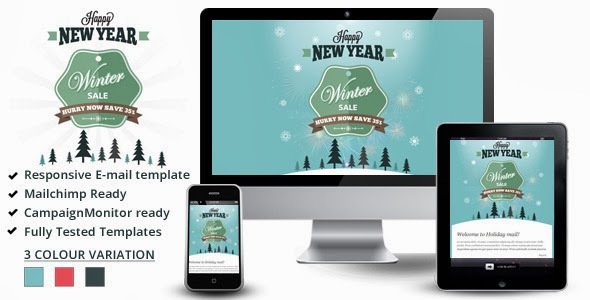 Winter Sale is a clean & professional responsive email template that can be used for any purpose. It is tested with Litmus and it is MailChimp, CampaignMonitor & iContact compatible. The flexible structures allows you to build new templates using block modules. You can test the responsive email templates using our features from demo panel, or by resizing your browser. Clean, Modern & Unique Design. Item Reviewed: Winter Sale – Responsive Email Templates 9 out of 10 based on 10 ratings. 9 user reviews.